Facebook Messenger unveiled its one-stop bot shop last month, and it's already showing signs of success. That's according to Facebook Messenger's head of product, Stan Chudnovsky, who took the stage at TechCrunch Disrupt in Brooklyn to share early numbers. According to Chudnovsky, its Bots for Messenger platform already has "tens of thousands of developers who are jumping on." Shopify, the first commerce platform to partner with Messenger, already has more than 5,000 merchants using its ordering and shipping capabilities via Mesenger. Chudnovsky cited these early numbers as "signs that the platform is starting to work." 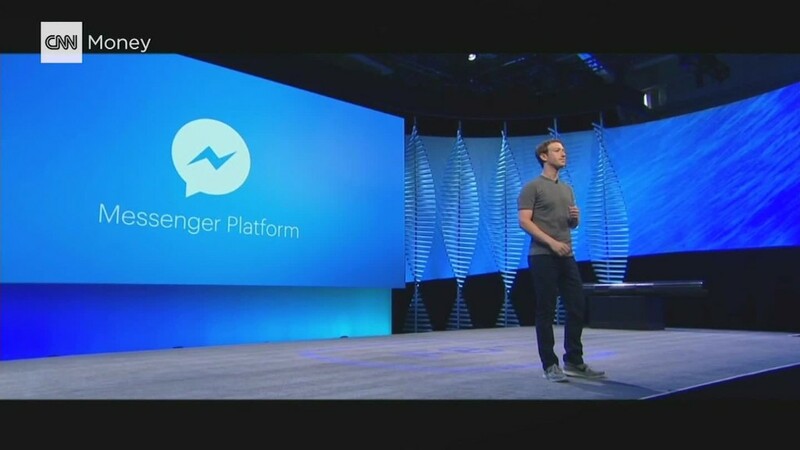 Facebook launched Bots for Messenger a month ago at F8, its annual developer's conference. It was positioned as a way for users to get everything from weather updates to shopping notifications to personalized news from a range of companies including CNN -- all through Facebook's messaging app. People are now able to message companies and publishers like they would message their friends. The faster that developers work with the platform, the more businesses, brands and publishers will be able to connect with their customers. Chudnovsky said that just as developers and consumers are new to the chat bot universe, so is Facebook (FB). "We're learning like everybody else," he said, adding that "if we can make it easier for people to actually communicate with businesses, that seems like a massive opportunity." Chudnovsky said his only regret about the splashy bot launch at F8 is that the team didn't have more time to spend "perfecting certain things" before it was presented to the public. He was quick to say that "you have to get out there in order to start learning." "We know that it needs to exist," he said, noting that they're still figuring out exactly what the best use case for the bots are. "We need to figure out the right set of controls, the right set of experiences." Chudnovsky is keeping its users front of mind. "We have 900 million people behind us," he said. Updated to reflect that Shopify now has 5,000 merchants using Messenger.